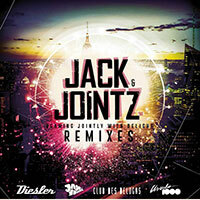 New from the Fatherland’s ChinChin label is this drop from Jack & Jointz who must be beaming with delight at the idea of getting remixes of four tracks off last year’s debut LP – er – Beaming Jointly With Delight, three of which come from the likes of Diesler, Ursula 1000 and Club Des Belugas. This crew of reprobates are respectively jazz-discoing with delight, electro-boogie-ing with delight and – ahem – housing with delight on (again respectively) the Ashley Slater-featuring Flip, the Judith Menner-featuring Shy Girl and the Ashley Slater-featuring (again) Running Life. Grinning like a Cheshire cat with delight however is Jayl Funk whose funky breaks lift the Scarlett Quinn-featuring Don’t Le Me Be Misunderstood nicely. All that and you also get a radio edit of Don’t Le Me Be Misunderstood. Chin-chin! disco Smoove ghetto funk Remix Dirty Dubsters 7" Chart Soul hip-hop nufunk review Free download Breakbeat Paradise Basement Freaks Tramp Records reggae Record Kicks video glitch-hop Mr Bristow Bulabeats Morlack Fort Knox Recordings Rory Hoy vinyl Ewan Hoozami Renegades Of Jazz psych latin BBP Jalapeno Records Electro swing trip hop breaks Funk Badboe Fort Knox Five Jazz The Allergies vinyl 7"